Wow, is it really the end of the month already? 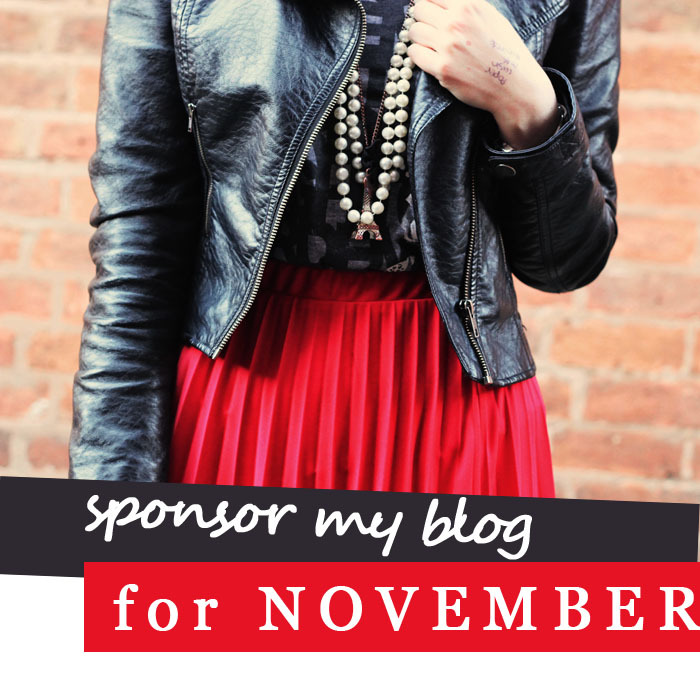 I've had some fabulous sponsors over the past few months and my blog is growing so much right now that there has never been a better time to advertise with me. So, if you're interested in super-cheap rates and lots of exposure for your blog, shop or business just drop me an email at girlnextdoorfashion@gmail.com for more information! There are three sizes available- small, medium and large so my ads are suitable for any company and any budget. Hope to hear from you soon!